My oped on Danny Chen and Asian American bullying appeared last week in USA Today. As with most of my opeds for USA Today, they are usually edited down because I still tend to write long. So a 900 word oped will get squeezed down to 300 words, and these long ruminations you’ve had are suddenly condensed into bite-sized facts. But this issue is still on my mind, especially since it has the potential to just get swept aside due to so many historical and cultural predispositions. While Chen’s final hours is clearly a harrowing account of a potential hate crime, Asian American bullying often starts smaller, yet can feel just as insidious. From schoolyard tauntings of Muslim-American children to cyber bullying on social networking sites, these deceptively milder forms of harassment can lead to potentially larger acts of abuse. Chen’s painful descriptions of his comrades’ insensitive teasing is an experience that many Asian American youths have shared, due to centuries-old stereotypes that depict Asian faces as forever foreign, submissive, or suspicious. Bullying can have traumatic results, from mental and physical health issues to drug and alcohol abuse and suicide. Last year, a rash of suicides resulting from anti-gay and anti-lesbian bullying made national headlines, and inspired outreach support such as the It Gets Better Project Youtube videos. 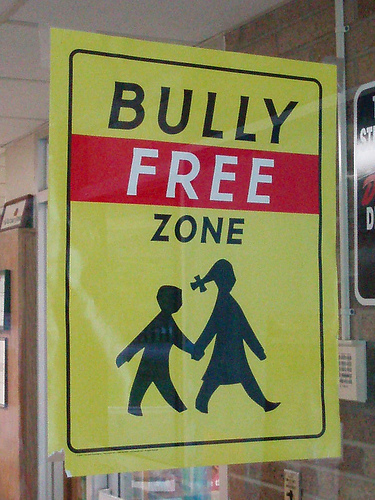 But Asian American bullying can be more subtle and thus, overlooked. From ignorant questions such as “Where are you really from?” and “Why is your English so good?” to mocking over their true American-ness and loyalty to this country, this type of harassment has the potential to fester into adulthood, where the damage can grow far worse, from the perpetrators, who feel that their behavior and thinking is acceptable, and to the victims, who have grown used to these acts of intolerance and hate. The standby solution of reporting to authorities is clearly not working, since it is sometimes these very teachers who initiate and perpetuate misconceptions of Asian Americans. More needs to be done in order to dispel the centuries-old myths and stereotypes that lie at the root of Asian American bigotry. Educators and schools must take action to better prepare themselves to handle this discrimination with early prevention strategies and workshops to empower Asian American youths. I taught a young adult literature course last fall, and while my students were vehemently against anti-gay bullying, they were surprisingly ambivalent, and even surprised, at the revelation that Asian Americans are the most bullied group. When I pressed them to speculate why, the stereotypes of Asian Americans as timid, weak, and even physically sexually inferior eventually emerged. Some seemed surprised when these misconceptions were corrected. This happened even with several Asian American males in the room. The students’ varied understandings of Asian American myths and stereotypes became even more obvious during our reading and discussion of Gene Yang’s American Born Chinese. Asian American bullying can attack from within. In recent weeks, youtube videos have revealed Asian Americans violently beating perceived FOBs (fresh of the boats,) revealing the cruel, but very prevalent, trend of Asian-on-Asian violence. It’s astounding to read the comments of the recent Danny Chen stories and realize how pervasive this problem is–and how parents can inadvertently encourage their children to accept this type of treatment as typical in America, due to their own experiences of discrimination. I certainly remember seeing my parents struggle with the condescension or downright offensive treatment while growing up in suburban southern California. You can sign a petition calling for the court martials in Danny Chen’s death.